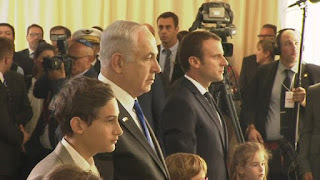 Israeli Prime Minister Benjamin Netanyahu is in Paris to commemorate the victims of a mass arrest of Jews in Nazi-occupied France in 1942. More than 13,000 Jews were rounded up and detained at a cycling stadium, the Velodrome d'Hiver, before being deported to Nazi death camps. He is the first Israeli prime minister to attend the Vel d'Hiv commemorations. 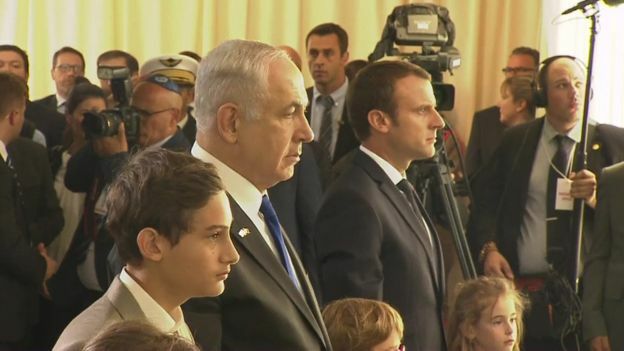 "I'm here to mourn the victims," Mr Netanyahu told an audience in Paris, which included Jewish group sand Holocaust survivors. "Seventy-five years ago, a heavy darkness descended on this city... It seems the values of the French revolution - equality, fraternity, liberty - was crushed brutally under the boot of anti-Semitism." While warning against the dangers of modern extremism, he hailed the "great, great human beings" who had risked their lives to save Jews in France during Nazi occupation. 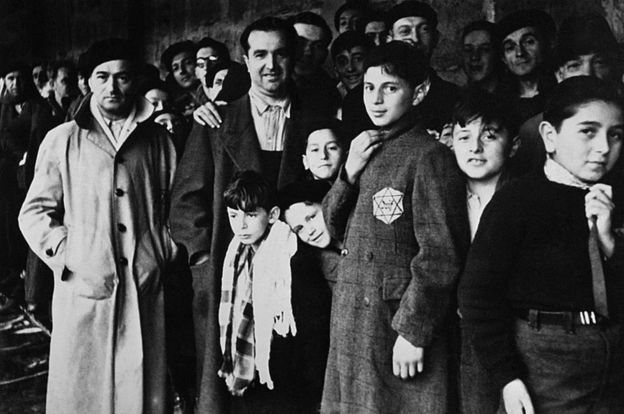 Out of the more than 13,000 Jews arrested by French police on 16 and 17 July 1942, about 4,000 were children. The families were taken to the Velodrome D'Hiver, a cycling stadium near the Eiffel Tower, or an internment camp set up just outside the capital at Drancy. They were then deported by train, mostly to Auschwitz concentration camp. Fewer than 100 people survived.